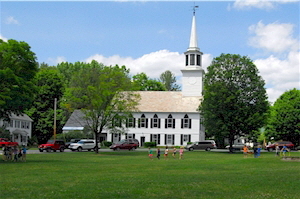 The Townshend, Vermont Planning Commission meets generally on the second and fourth Wednesday of a given month, starting at 7:15 PM. Additional meetings may be held, if necessary and meetings may be canceled if there is no pressing business. The public is invited to attend but if there is a particular issue that an individual wishes to discuss with them it is very advisable that contact be made well in advance of a meeting with a request to be on the agenda and a brief synopsis of the issue before the meeting. Only approved minutes are posted here. Minutes are posted according to the calendar year and are available by using the drop down menu under the “Documents” button.